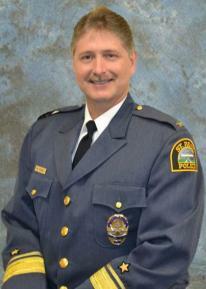 Chief Todd Axtell has been honored to serve the citizens of Saint Paul since 1989. He has risen through the ranks within the Saint Paul Police Department and has served in patrol, investigative and administrative assignments. In June 2016, Chief Axtell was appointed as Saint Paul’s 41st Chief of Police. Reaching historic levels of community engagement by implementation of a new Community Engagement Unit. 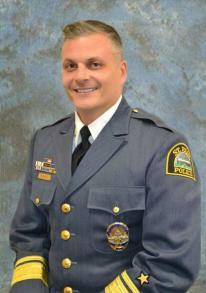 Chief Axtell has a B.A. in criminal justice from Metropolitan State University and holds a Master’s Degree in police leadership, administration and education from the University of Saint Thomas in Saint Paul, Minnesota. He is a graduate of the 207th session of the FBI National Academy and the 47th session of the DEA’s Drug Unit Commanders’ Academy. 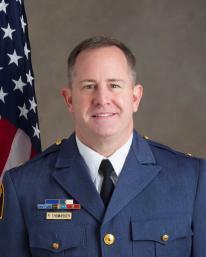 Assistant Chief Robert Thomasser joined the Saint Paul Police Department in 1995 after serving as a deputy sheriff with the Los Angeles County Sheriff’s Department for four years. 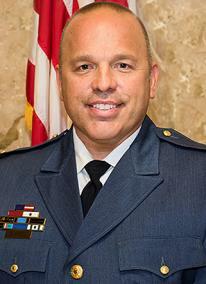 Since then, he has worked in patrol as an officer, sergeant and commander. He has also served as a narcotics investigator, SWAT team supervisor, DEA Task Force officer, commander of the Narcotics and Human Trafficking Unit, and assistant chief of police for the Operations Division under Chief Thomas Smith. Most recently, he served as Chief Axtell’s chief of staff, where he led several high-profile projects including the development of the department’s Report on 21st Century Policing, the transition of the Police Civilian Internal Affairs Review Commission to the Department of Human Rights & Equal Economic Opportunity, and the release of 15 years’ worth of traffic stop data. He has a bachelor’s degree in Police Science from Saint Mary’s University and a master’s degree in Leadership & Management from the University of Saint Thomas. In addition, he is a graduate of Harvard University’s John F. Kennedy School of Government’s Senior Executives in State and Local Government Program, the FBI’s National Academy and Hamline University’s Public Safety Administration Graduate Certificate Program. Deputy Chief Matt Toupal oversees the operations functions in the department. Under his command are the three patrol districts (Central, East, West), Watch Commander, Canine Unit, Ordnance Disposal Unit and SWAT. Deputy Chief Paul Iovino oversees the new Community Engagement Division which includes Special Operations, Community Partnerships, Recruitment and Youth Outreach and our Community Outreach And Stabilization Unit (C.O.A.S.T.). 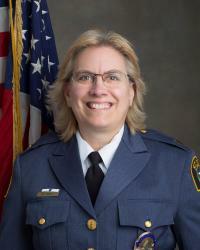 Deputy Chief Mary Nash oversees the major crime investigation functions in the department. Under her command are Family and Sexual Violence, Property Crimes, Homicide & Robbery, Special Investigations, Gangs, Narcotics & Vice, and Safe Streets Task Force. 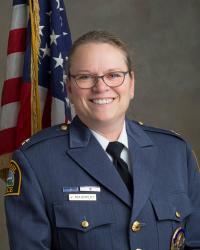 Deputy Chief Julie Maidment oversees the support and administrative functions in the department. Under her command are Technology Development & Implementation, Research & Grants, Human Resources, Property & Evidence, Training, Fleet, LGBT Liaison, and Employee Assistance Program.